Do you or your family have ancestral ties to Union County? Do you need an idea for a way to honor or memorialize someone? Maybe you would like to become a part of a preservation effort designed to perpetuate the story of the humble beginnings of our ancestors. 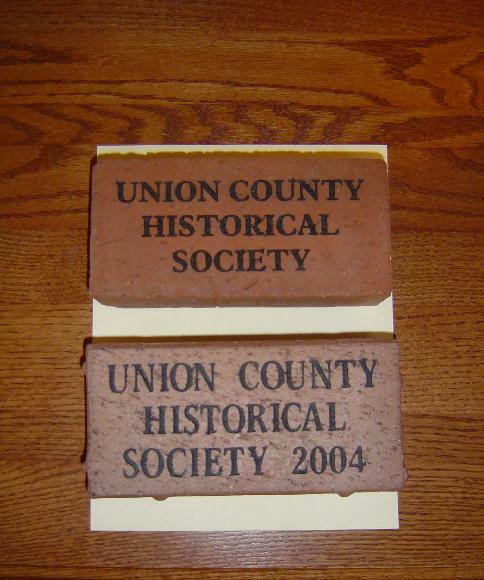 Why not think about becoming a participant in an extraordinary endeavor by the Union County Historical Society and purchase a personalized brick in the Historic Brick Walk. Leading from the east entry of the Old Courthouse to the front of the structure housing the restored clock and bell exhibit, the walkway will become a wonderful way to make sure your generation has acknowledged your personal ancestral history. Like the quotation at the beginning of this article, our generation and our children’s generation should acknowledge the sacrifices and hardships our ancestors endured. What better way to remember them than that of placing your own commemorative brick alongside those other Union County families that once shared the same hopes and dreams?